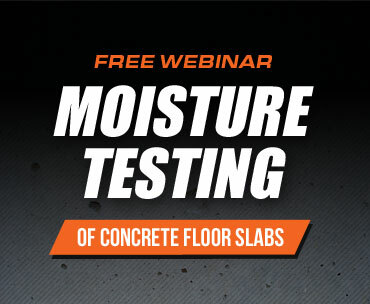 In this video Jason Spangler explains why having the HVAC up and running is critical when testing a concrete slab for moisture. Even relative humidity testing. Not only is having the HVAC up and running to match the service conditions that the building will be at once it is occupied required per the ASTM F2170 standard, there is a direct correlation between the ambient conditions of the room and the relative humidity within a concrete slab. To learn more about how HVAC affects concrete moisture tests, click here.